Head over to check out these Personalized Valentine's Day Favors on sale for $7.49 (Retail $16.95). 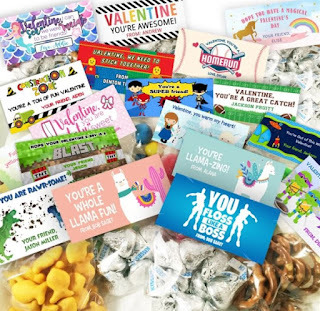 Be creative this year with our personalized valentine treat bag stickers and bags. Great for candy, cookies, snacks or favors! Easy assembly. Choose from 32 different designs!